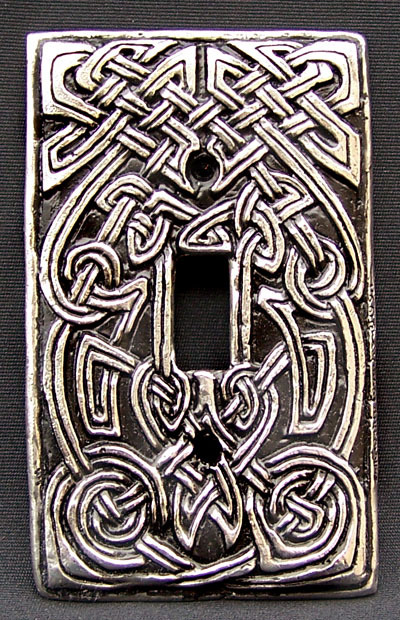 The bold Celtic knotwork is raised up from the black background, giving this switchplate cover a sculptural feel. It's made to fit any standard electrical switch, and is 2 7/8 inches wide. We make it by hand from lead-free pewter.